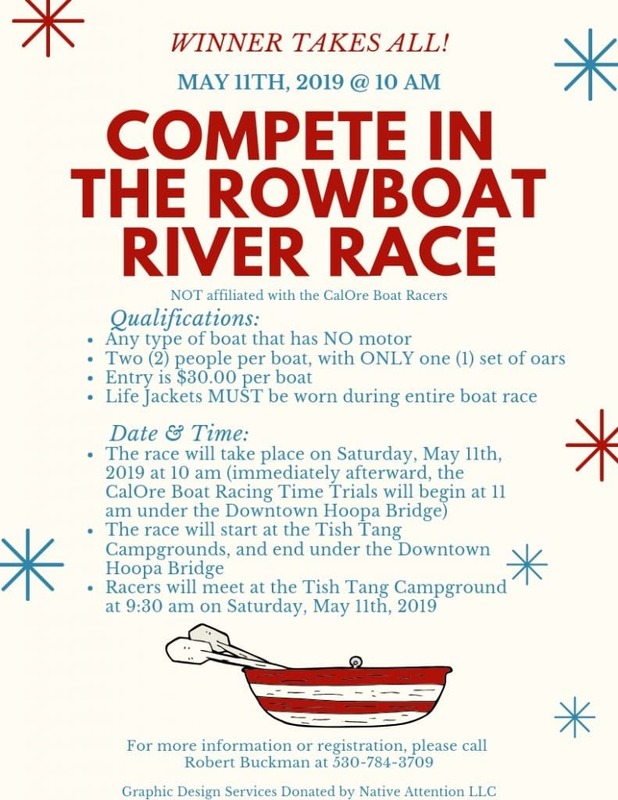 In accordance with helping the community stay updated on the local boat races, we want to share the flyer above about the Rowboat River Race on May 11th, 2019 at 10 am. Additionally, the CalOre Boat Race Time Trials are scheduled to take place immediately after this Rowboat Race at 11 am. Everyone is welcome to check out the races and cheer on the racers. More information will be released as we move closer to May 2019. For anyone interested in registering, please review the requirements above and contact Robert Buckman at 530-784-3709.